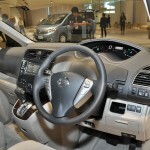 Nissan today announced the launch of the new Serena S-HYBRID, which goes on sale today nationwide at Nissan dealers throughout Japan. 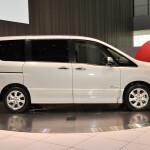 The Nissan Serena has been acclaimed by customers for its roomy cabin and ease of use as a minivan for the family, remaining in the No.1 position in minivan sales in Japan for calendar year 2011, fiscal year 2011 and for the first half of calendar year 2012. 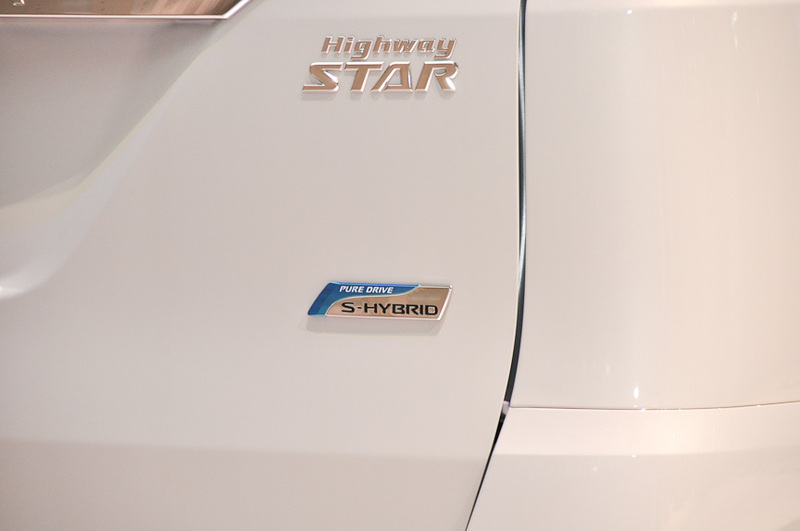 The S-HYBRID (which stands for smart and simple hybrid) powertrain equipped in the Serena is a simple and compact hybrid system. 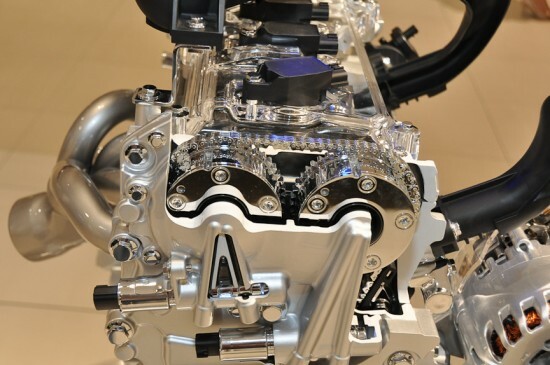 It mounts an upgraded version of the ECO motor used in the existing Serena, and serves as an auxiliary motor to increase power output and power generation capabilities. 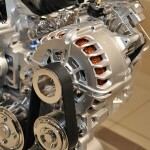 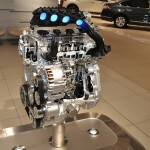 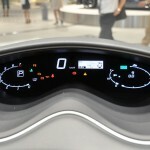 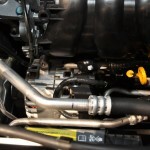 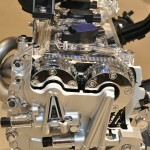 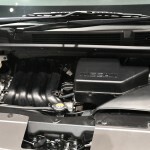 The hybrid system also adds a sub battery for increased storage capacity, which fits in the current engine compartment. 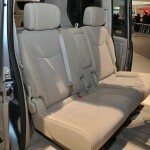 Mounting the entire hybrid system inside the existing engine space maintains the key features of the Serena, such as largest-in-class cabin and flexible seat configurations. 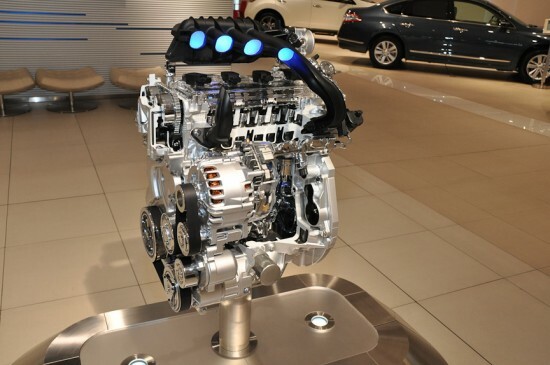 Serena S-HYBRID achieves best-in-class fuel economy (15.2km/L in JC08 mode on 2WD), and is the only model in its class to be exempted from Japan’s automobile acquisition and weight taxes. 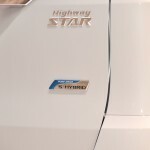 Serena S-HYBRID also features blue headlight inner lenses, high-intensity LED rear combination lights, a clear LED High Mount Stop Lamp and exclusive graphic icons in the Multi Graphic Upper Meter. 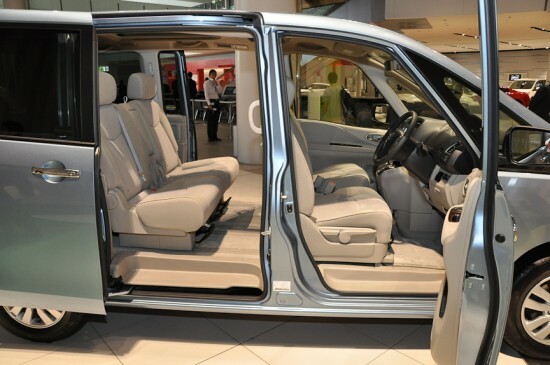 The many interior and exterior features of the Serena S-HYBRID enhance its appeal, yet it remains affordably priced. 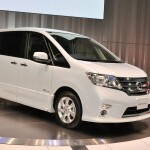 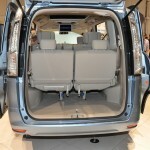 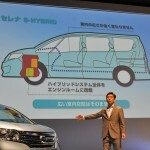 In conjunction with the launch of the Serena S-HYBRID, all non-hybrid Nissan Serena grades will introduce new features such as standard Emergency Locking Retractor (ELR) 3-point seatbelts for the center seats in the 2nd and 3rd rows, and fuel-efficient tires*3 that reduce rolling resistance for improved fuel efficiency. 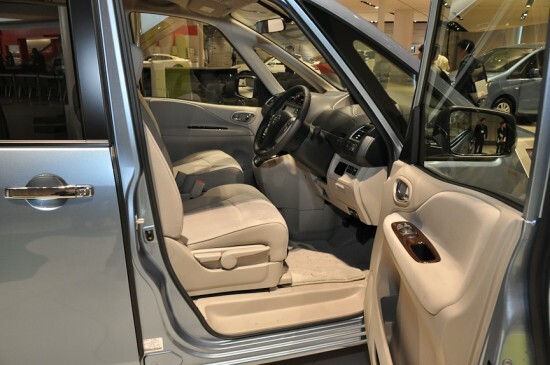 The One-Touch Auto Slide Door function for the sliding door on the left side of the vehicle, requested by many customers, is now standard on the Highway Star grades (2WD/4WD). 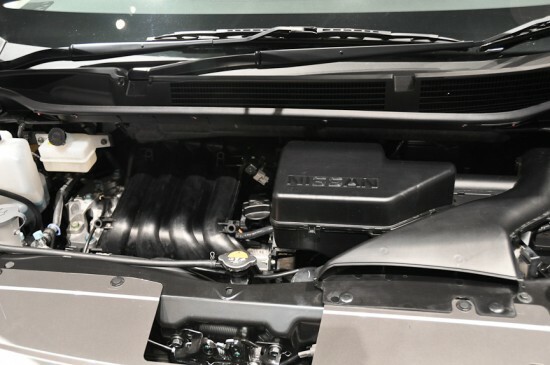 Based on the dual-pillar strategy of zero emissions and PURE DRIVE, Nissan is continuing its efforts to reduce the CO2 emissions of its product lineup. 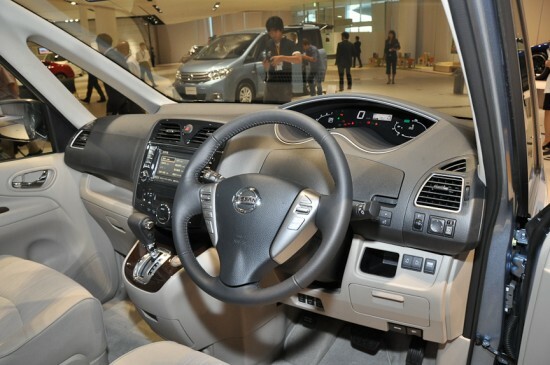 Serena is one of the Nissan’s PURE DRIVE models, as it features the S-HYBRID model (for 2WD grades) and Idling Stop system (for 4WD grades). 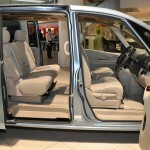 Price range: S-HYBRID – 2,384,550 yen ($30,580) to 2,799,300 yen, ($ 35898) including consumption tax. 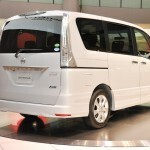 Non-hybrid grades – 2,163,000 yen ($27738) to 2,832,900 yen ($36329) including consumption tax.